Ed Hardy Remote Control Fishing Boat, really catch’s fish! Fish Fun Co. and www.RcFishingWorld.com does it again. They picked a winner remote control boat to go fishing with. This one not only has power, twin 380 type motors. It has a design that will make the fish jump on the hook! Well, not quite, but I do know I was bass fishing from a dock, and a couple of bass were following the boat around. Hopefully a new video will appear soon so I can see it in action. Here’s a new video from 6-19, Showing how you can catch any size fish with a Fish Fun Co. 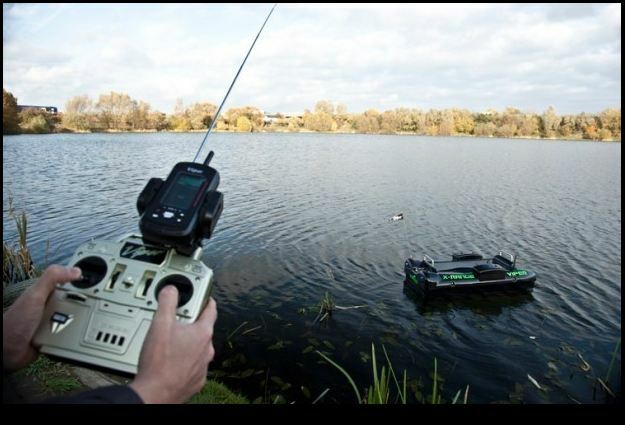 Remote Control Fishing Boat. Hopefully you saw Part I, because it showed how you can use ‘The RC Fishing Pole” two ways, for small fish the boat will pull in the fish!